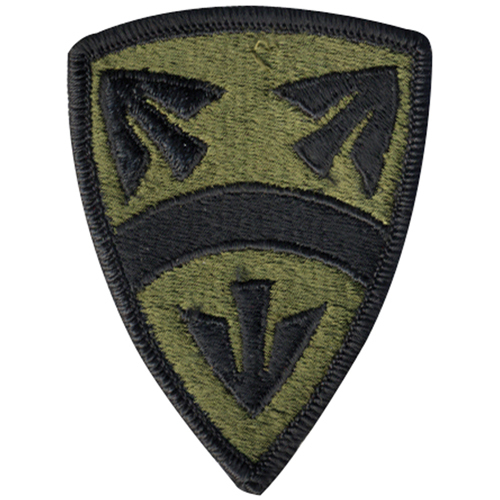 The 15th Support Brigade Subdued Patch is an addition to the range of military patches available. It is an embroidered replica of the military patch sewn on the uniforms of the soldiers assigned to the 15th Support Brigade. It is a triangular badge shaped patch, with a khaki color background and three arrows embroidered with black thread, pointing to the three corners of the triangle. This patch is carefully designed to capture the true essence of the original patch. Available in one size, this patch will surely enhance the look of a plain T-shirt when sewn on it. This patch can also be a unique gift idea for a military enthusiast.